So you’re looking to capitalize on the success of gamification and simulation training in the 21st century? If you don’t know anything about gamification or simulation programming but have the ability to hire people who do, you’ll need a description of the types of positions that you need to fill. The producer of a game or simulation is much like the producer of a film or an album. They oversee the entire process of development and manage the team that is working on all aspects of the project. Gaming and simulation producers may be employed by one company, or they may be contracted with publishers and manage several projects at once. A gaming or simulation producer is the leader of the team and should therefore come from a strong business-management background and have the ability to organize and oversee others while working on a complex project with goals and deadlines. The game or simulation producer must be able to offer advice on the product’s development at different intervals and be equipped with multiple areas of expertise (programming, design, etc.). 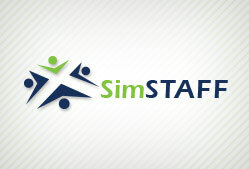 The game or simulation designer is responsible for the visual elements of the game or simulation and how they interact with one another to achieve their purpose. They work closely with the game’s producer and programmer to ensure that the appearance of the game or simulation’s elements is consistent with the plans of the developer and serves their needs. A game designer must be willing to work professionally and creatively with other members of the team, and to accept and implement critical feedback into the gaming or simulation design. Gaming and simulation designers should be excellent communicators and problem solvers, as well as having an eye for detail to spot irregularities or inconsistencies and to implement changes. There are multiple types of programmers specializing in different, yet equally important, areas of gaming and simulation production such as coding, networking, sound, and visual effects. The game or simulation programmer will put together strings of code to create the overall look of the game or simulation and to give it its interactive features which will tie into the game’s design. They should possess strong mathematical abilities and excellent computer networking and programming skills. Some examples of different types of programmers include engine programmer, artificial intelligence programmer, network programmer, sound programmer, and visual effects programmer. While it may seem like a crazy idea to pay someone to work as a tester, it’s not when you look at the larger picture of game and simulation development. A gaming or simulation tester is not hired to play but to communicate what they experience during testing to the developer either in writing or orally. By testing the game’s first, the developer is able to work out some of the kinks and increase the chances that a game or simulation will be successful in achieving the goals of the developer. Education is not particularly important when looking for a gaming or simulation test subject, but you will want to favor candidates that have a strong interest in computer games/simulations and who are able to communicate effectively in both speaking and writing. Like designers, gaming and simulation artists work on the visual appearance of the game. They must be able to think innovatively and make art that is unique to a business or project and not necessarily in their own artistic style. Artists should be versatile and creative in order to take the producer’s or designer’s vision and make it a reality using computer software. Most often they will be creating 3D images so you may want to find out whether or not they have experience using a “gaming rig,” which includes a more advanced set of tools than typical 2D and 3D software programs. A gaming and simulation artist should be well-versed in computers and design software and have the ability to create original work for specific projects.